This Friday, April 19, 2019, At 10:30am – Until ?? ?, The Mitchell Chapel Church Of God In Christ Senior Choir Will Be Selling Hot, Finger Licking Fried Catfish Plates. The Plates Include: Fried Catfish, French Fries, Coleslaw, Bread, Dessert And A Drink For A Small Donation Of $8.00. And Yes All Of That For Just $8.00. 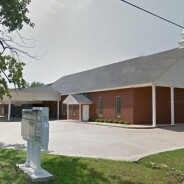 So Stop By Mitchell Chapel Church Of God In Christ (402 South Jackson Street) And Grab You A Plate Or Two. 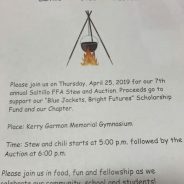 If You Can’t Stop By Then Call (903-885-0338) And They Will Be More Than Happy To Deliver(2 Orders or more)… Deacon Clyde DeBase Will Be Frying The Fish..
Saltillo FFA will be holding their annual Stew and Auction on April 25 at the Kerry Garmon Gymnasium. Stew and Chili will be served at 5 p.m. with the auction starting at 6 p.m. Saltillo FFA Officers urge community members to “please come out and enjoy food and fellowship as we celebrate our community, school, and student accomplishments for the year.” Projects students have built during ag classes will be on display during the meal. BY JAN VAUGHN The Tira Volunteer Fire Department is having an Open House on Sunday, April 28, from 1 to 3 p.m. The station is on the west end of the Tira Community Center on FM 1536. Pam Martin reports, “Everyone is invited to come by and see our newest addition.” Light refreshments will be served. You are encouraged to come support the department and let the firefighters show you around. 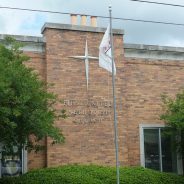 Joyce Dodd shared that the next Bible study at the Tira Methodist Church is coming up on Tuesday, April 23, at 1 p.m. Everyone is welcome. North Hopkins Family & Consumer Sciences (FCS) teacher, Lisa Sprague, would like to let everyone know that a 20th Anniversary Scholarship Foundation Dinner and Auction is planned for Saturday, April 27, beginning at 6 p.m. in the school cafeteria. 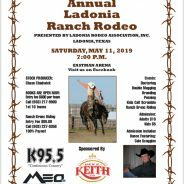 She comments, “The meal will be prepared by the culinary department and Charlie Vaughn and Mr. Lowe [secondary principal] (the prime rib team) and high school students from BETA, FFA, FCCLA, Athletics and Business will be setting up, serving, and cleaning up at the event. Tickets are $25 each and proceeds go to helping NH students.” Chicken will, also, be an option for the main course. If you would like to purchase tickets, please call or text me at 903-438-6688 and I will put you in touch with Lisa Sprague or Danna Lewis. 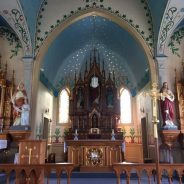 Jan Vaugh, Yvonne Weir and Brenda Allen toured the Saints Cyril and Methodius Church from the Painted Churches in the Schulenburg area last Friday. Yvonne Weir and I met Brenda Allen in Sulphur Springs on Thursday, April 11, and we took a scenic drive to Schulenburg. On Friday, we went on a tour of the “Painted Churches” in that area. The four historic Catholic churches that we visited featured elaborately painted walls, ceilings and sculptures. Our tour guide for the day, Terri, was very knowledgeable and we had a wonderful time with her. She allowed us to tour her restored farm house and we enjoyed lunch together in downtown Schulenburg. We saw lots of beautiful wildflowers along the roadsides. The bluebonnets and paintbrushes were especially pretty along the stretch from Waco to Corsicana on our way home on Saturday, and were a welcome distraction from the pouring rain that we encountered along the way. 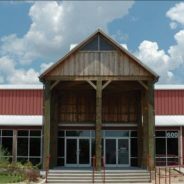 We stopped by the Magnolia Marketplace in Waco and enjoyed the experience, but decided we might like to return on a less crowded weekday. Nicole Klemptner reports, “My boys, Dalton and Dakota Klemptner, are doing a lawn service this spring and summer to earn money and would love to get some yards in Tira to mow.” It’s called DJK Lawn Service and my number 903-438-6098.” She added that people can, also, look them up on Facebook. I always need and appreciate input from my friends to help keep me informed of news in our community. If you have any news pertaining to Tira residents, past or present, please contact me, Jan Vaughn, at 903-438-6688 or [email protected] . The A&M-Commerce College of Business will host the 2019 Small Business and Entrepreneurship Conference (SBECON) on May 15 from noon to 2 p.m. in the Alumni Center. This year’s conference will continue the format begun in 2018 featuring “Lunch and Learn” mini-conference sessions to make it more convenient for business owners, managers, employees and aspiring entrepreneurs from the area to participate. 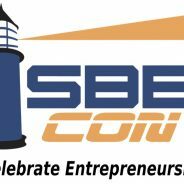 SBECON will focus on subjects of interest to small businesses and entrepreneurs in the North Texas region. Dr. Shanan Gibson, dean of the College of Business, stated, “This conference is our eighth annual SBECON. Our college continues to exercise our leadership in bringing together individuals to share ideas and focus attention on small business, entrepreneurship and economic development in the region.” The keynote speaker for this year’s conference is Michael Dickson who is a recognized expert in broadband networks and systems and currently serves as the chief innovation officer for Collin College. Previously, he served as vice president for technology and chief information officer at Western Illinois University. 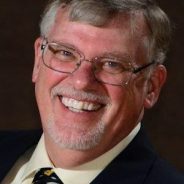 He has also served as a member of the Policy Committee and Advanced Engineering Task Force for the Illinois Century Network and as a member of the Illinois Broadband Task Force. Dickson has a unique background in rural broadband systems and the impact they can have on economic development. Admission for the conference is $20 which includes lunch. Registration is now open at https://marketplace.tamuc.edu/SBECON. For more information, please contact the College of business at [email protected] or 903.468.6046. Dr. J. Robert Collins, senior lecturer and executive in residence for the Department of Management, is again leading the planning and organization for the conference. Sponsors for the conference represent some of the major economic development corporations (EDC) in the region and include Commerce EDC, Greenville EDC, Farmersville EDC and Sulphur Springs EDC. About Texas A&M University-Commerce: A&M-COMMERCE serves rural and metropolitan Northeast Texas with distinction, consistently delivering on a promise that our founder, Professor William Leonidas Mayo, made more than a century ago: “No industrious, ambitious youth shall be denied an education if I can prevent it.” Since our university’s humble beginnings, the mission to provide a high-quality, personal, accessible and affordable educational experience for a diverse community of learners remains unchanged. Programs are delivered on-site at the Commerce campus as well as in Corsicana, Dallas, McKinney, Frisco and Mesquite. Many courses are also available online. Students may choose from more than 135 degree programs at the bachelor’s, master’s and doctoral levels. A vibrant student life experience includes 14 NCAA Division II athletic teams, a thriving Greek system and more than 120 student organizations. About the A&M System: The Texas A&M University System is one of the largest systems of higher education in the nation, with a budget of $4.69 billion. Through a statewide network of 11 universities and seven state agencies, the Texas A&M System educates more than 150,000 students and makes more than 22 million additional educational contacts through service and outreach programs each year. System-wide, research and development expenditures exceeded $996 million in FY 2017 and helped drive the state’s economy. Senior Citizens Center Program and Marketing Director Karon Weatherman announced a Senior Citizens Lunch and Learn seminar will be offered through the AARP Life Insurance and Annuity Program from New York Life at 11 a.m. May 6 at the center. “They will help you make sure that your future is secure and help your loved ones have a great peace of mind,” said Weatherman. 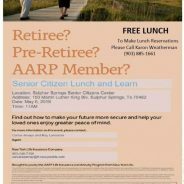 AARP will provide a free lunch for attendees, but those attending must call 903-885-1661 by Wednesday, May 1, to reserve a lunch. 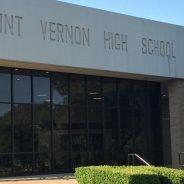 Regional and public history will be the focus of the 23rd Annual Cotton and Rural History Conference scheduled for April 27 at the Audie Murphy/American Cotton Museum in Greenville, Texas. Students and faculty from A&M-Commerce and Collin College, as well as other guest speakers, will address a variety of topics including rural life in Central Texas, Hopkins County’s dairy industry and how Booker T. Washington’s strategy for “racial uplift” played out in rural communities in Arkansas and Texas. “The Cotton Symposium is a great opportunity for our department to engage with the rich rural and agricultural history of Northeast Texas. This partnership with the Cotton Museum and Collin College is a great way for our universities to preserve and promote regional history,” said Dr. Andrew Baker, assistant professor of history at A&M-Commerce. Audie Murphy/American Cotton Museum The Scholars’ Panel will feature Austin Baxley, an A&M-Commerce alumnus, who will discuss “Tractors and Milk: Developments in Hopkins County Agriculture, 1945-1979.” He will explore Hopkins County’s path to becoming one of the largest dairy producers in the region. Baxley is a recent A&M-Commerce Honors College graduate, earning his BA in 2015 and MA in 2018. He currently works at Como-Pickton ISD where he teaches history, government and economics. Baxley also serves as an adjunct professor for Northeast Texas Community College. Baker will chair the Eyewitness Panel which will feature a round-table discussion consisting of Dr. James Conrad, retired A&M-Commerce lead archivist, Susan Lanning, director of the Audie Murphy/American Cotton Museum, and Dr. Kyle Wilkison, a professor from Collin College. They will discuss different historical events from around the area and also tell the conference’s decades-old origin story. Dr. Ken Roberts, a retired professor of economics from Southwestern University, will deliver the keynote address titled “Cedar Choppers: Life on the Edge of Nothing.” His teaching and research focus on the effects of agricultural change on poor farmers in developing countries. His research on the cedar choppers in Central Texas continues in that vein; however, unlike other farmers who left their land in response to lower prices and mechanization, these people hung on. The conference is produced through a partnership with Collin College, A&M-Commerce and the Audie Murphy/American Cotton Museum. Advanced registration is required. Tickets cost $12 ($5 for students) and include a BBQ lunch. Call the museum at 903.450.4502 to register. Deadline to register is April 23. For more information, visit the conference website. A&M-COMMERCE serves rural and metropolitan Northeast Texas with distinction, consistently delivering on a promise that our founder, Professor William Leonidas Mayo, made more than a century ago: “No industrious, ambitious youth shall be denied an education if I can prevent it.” Since our university’s humble beginnings, the mission to provide a high-quality, personal, accessible and affordable educational experience for a diverse community of learners remains unchanged. About Texas A&M University-Commerce: Programs are delivered on-site at the Commerce campus as well as in Corsicana, Dallas, McKinney, Frisco and Mesquite. Many courses are also available online. Students may choose from more than 135 degree programs at the bachelor’s, master’s and doctoral levels. A vibrant student life experience includes 14 NCAA Division II athletic teams, a thriving Greek system and more than 120 student organizations. About the A&M System: The Texas A&M University System is one of the largest systems of higher education in the nation, with a budget of $4.69 billion. Through a statewide network of 11 universities and seven state agencies, the Texas A&M System educates more than 150,000 students and makes more than 22 million additional educational contacts through service and outreach programs each year. System-wide, research and development expenditures exceeded $996 million in FY 2017 and helped drive the state’s economy. WHEN: 7 p.m. Thursday, April 18 WHERE: HCGS Library, 611 North Davis St., Sulphur Springs, TX 75482 WHAT: “The Golden Age of Radio” PRESENTER: Ken Hanushek Ken Hanushek Ken Hanushek was born in Cleveland, Ohio, but raised in Pittsburgh, Pennsylvania. He has a BA in history from Grove City College, PA, a MS in political science from Auburn University, AL and a MS in history from Texas A&M, Commerce. Ken is a retired Air Force Lt. Colonel. He was on the history faculty of Northeast Texas Community College for 16 years, on the history faculty at Paris Junior College, full time, for 7 years and still teaches part-time at PJC-Sulphur Springs Center. He is married, and has two daughters and three grandchildren. All are invited to attend this monthly meeting of HCGS and to bring a friend.